The weather is heating up. The days are longer, the nights shorter. You look to the great outdoors for recreation and relaxation. It’s the perfect time to add outdoor entertainment. Hearing your favorite music or watching your favorite show is a great way to make your outdoor activity even better. Whether you’re swimming, shooting baskets, gardening, or resting, music and video makes it all the more fun. Outdoor controls can be added so you can access your system from anywhere you happen to be. That makes it easy to lower the volume or change selections. Speakers and screens can be hidden and are available in a variety of ‘stealth’ designs. 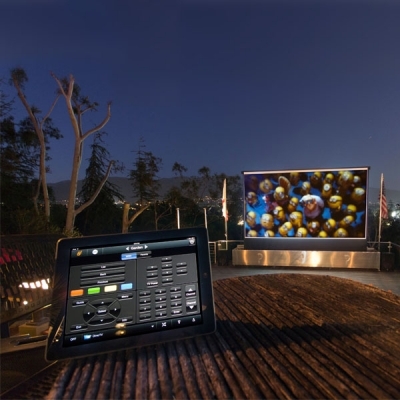 For the ultimate in outdoor entertainment, we recommend an outdoor Home Theater. A sound system is installed by your pool, deck or wherever we can get the best results – outdoor movies and sports events are great fun year round! 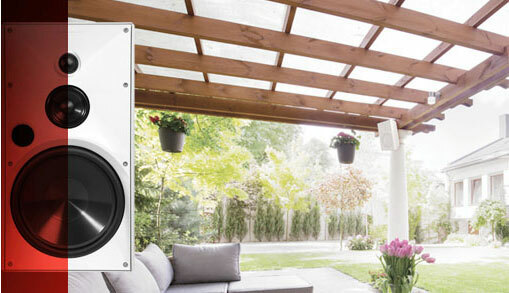 Outfit your outdoor spaces with sophisticated sound solutions that last a lifetime. Designed to extend the listening environment from the patio to the garden, poolside and beyond, all of our outdoor speakers offer high-fidelity sound but seamlessly hide into their surroundings. 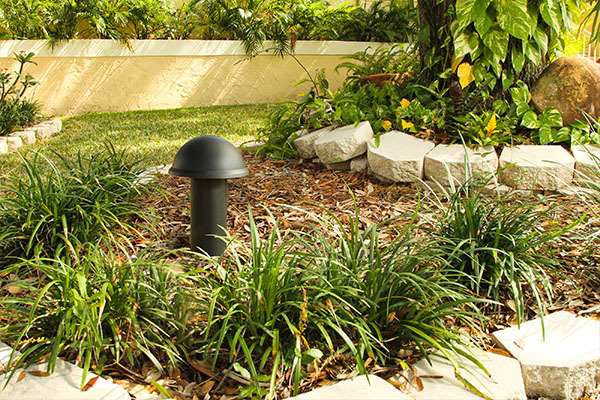 Rock Loudspeakers come in a variety of finishes to blend into any landscape. All models include a new NoFade Protective Finish and a new four-layer fiberglass weave, which promises durability – even under extreme UV conditions. 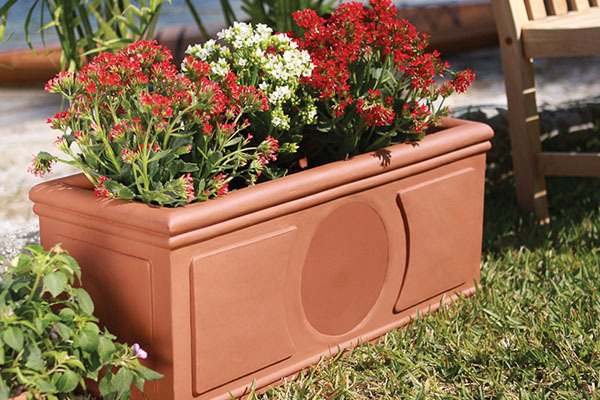 10″ in-ground subwoofer delivers big bass in your outdoor space. With a 10″ woofer cone inside, this powerful subwoofer extends the listening environment with deep rich bass. Buried underground, only its fully paintable port tube is visible on the surface, making it able to blend into the garden. The fun doesn’t stop at the back door, and neither should the music or video. Your outdoor living space is an extension of the home, and your outdoor music and video deserves to be fully integrated into your home audio experience. Add an outdoor movie experience or a TV to catch the game as you sit by the pool.